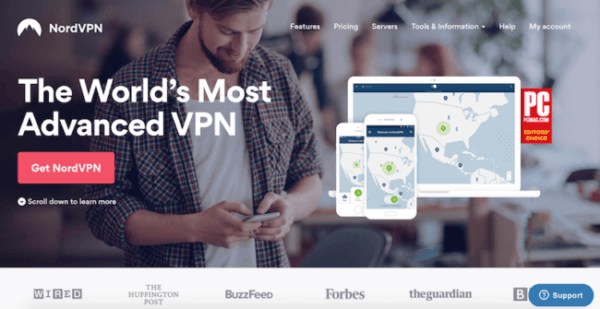 Best VPN Accepting Bitcoin in 2019 – How to Buy a VPN with Cryptocurrencies? How to buy a VPN with Bitcoin ? Bitcoin is the mother of all cryptocurrencies. It can keep your identity separate from your transactions and adds a healthy layer of anonymity to whatever you’re trying to accomplish. With such a private currency it’s only logical that Bitcoin and VPN (Virtual Private Networks) would eventually pair up. Before we get into the best VPN accepting cryptocurrencies, let’s take a moment to understand how Bitcoin works. Bitcoin, as I mentioned, is a cryptocurrency as well as a payment system. It was the first decentralized digital currency, which means Bitcoin uses no central banks or ATM’s. In fact, there is no actual physical Bitcoin. Since no tangible hand to hand exchange of this currency exists, all transactions happen on a digital peer to peer platform where they are verified and recorded in a public ledger called a blockchain. This allows you to store your dollars and cents outside the reach of any government. However, contrary to popular belief Bitcoin is not absolutely anonymous. Your public digital ledger on the Bitcoin network can be tracked back to your wallet address and ultimately your identity, but we’ll get into that later. To increase your digital privacy and decrease any exposure it is an optimal decision to buy a VPN that accepts Bitcoin. Although, many Bitcoin VPNs now offer this option not all of them are worthy contenders. Journey me as we go through the best VPN for cryptocurrency on the market and best one for you. NordVPN is a tried and tested VPN provider accepting Bitcoin via BitPay for coverage plans. They are most widely known for their military-level protection. One great feature is you only need an email address to access this service. So you can use your burner email address here, we’ll explain this later. The use of 256-bit AES encryption along with their double encryption policy makes NordVPN an ideal choice for those who live in countries with severe censorship. On top of their heavy encryption package, they stick to a strict no-logs policy. Included in their service package are two kill switches, one customizable and another that gives you the option to block traffic on your device once the VPN connection is disabled. With a staggering amount of 3,000 servers strategically placed and infinite server switches, you have access and speed to unblock and stream content like Netflix and Hulu which most VPN’s can no longer connect to. But don’t take our word for it collect your NordVPN Bitcoin and see for yourself. We have prepared a full test report of NordVPN to discover all its functionalities and performances. ExpressVPN is one of the top notched providers in the Virtual Private Network industry that accepts Bitcoin through BitPay. Their use of top of the line security features like an SSL secured network with 256-bit encryption that keeps you invisible and undetected. ExpressVPN gets our attention with over 1,000 servers in over 90 countries. Through the use of so many servers, there is no way of anyone tracking your activity. This provider also guarantees no logging of your activity or personal information like email addresses. They also give the added bonus of leak protection. 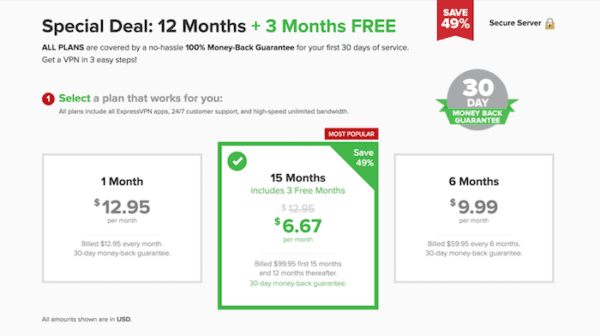 With so much protection including a kill switch for desktops, ExpressVPN provides you reliable service and impressive speeds. If you want one of best VPN to keep you anonymous, use ExpressVPN bitcoin payment. 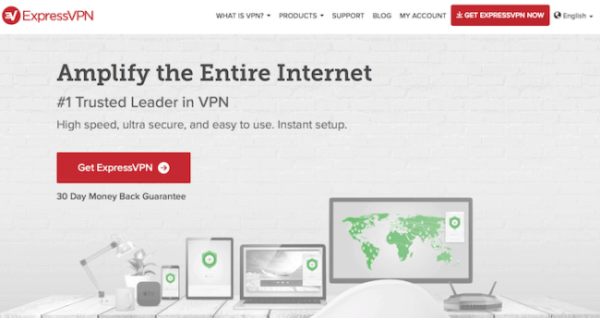 Investigate ExpressVPN reading our review. CyberGhost is yet another great VPN that accepts bitcoin Bitcoin. A great talking point on this provider is its absolute no logging policy. Their resolution is backed up by a state-enforced no logging policy put in place by the government of Romania, where this company is based. In addition to the use of highly secure 256-bit encryption to keep all your digital data protected, other features include anti-tracking, anti-malware, and iPv6 leak protection. Although privacy and protection are optimal, their speed should not be overlooked. With 1,300 servers and counting this Bitcoin, VPN provider delivers some amazing results in terms of downloading and uploading speeds, in fact, it performs with the fastest VPN connections on the market, which translates to faster connections and less buffering. You can discover all the anonymity features of CyberGhost in our review of this Bitcoin VPN. 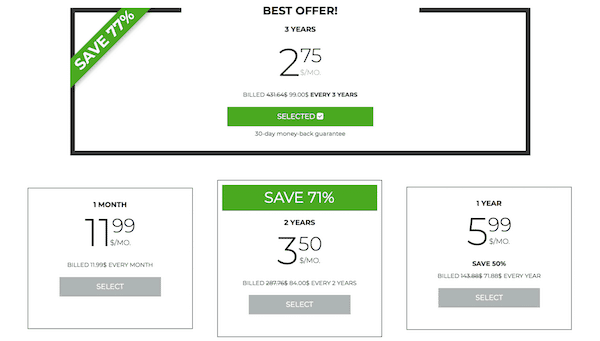 IPVanish is another contender when choosing a Bitcoin VPN to purchase with cryptocurrency. 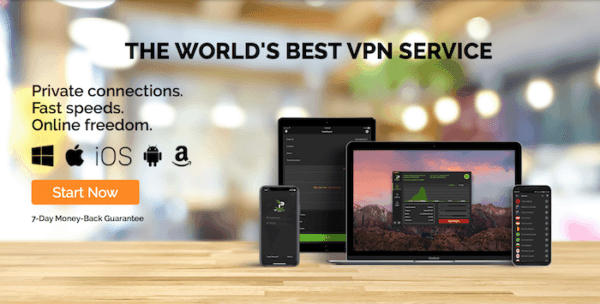 Unlike many other VPN providers, IPVanish is a Top Tier VPN which means they don’t use hosting services of third-party providers to manage their infrastructure. You don’t need to worry about your privacy and digital data because IPVanish is based the United States. Your privacy and data are completely safe, you can breath easy because IPVanish records zero logs so they have none of your information to hand over to any governments putting pressure on them. They offer a long list of servers and 256-bit encryption for added privacy. Additionally, IPVanish has outstandingly fast network speeds and since they are a US-based company, IPVanish is a great choice if you are looking to stream unlimited US content. If complete data invisibility is what you’re looking for, go for a Bitcoin VPN and try IPVanish. Read our review to discover more. Hidester is a newcomer to the VPN world but nonetheless, it is a Bitcoin VPN. Though Hidester is an up and coming provider, it offers similar services to providers that have been around for some time. For example, it has a great reputation for circumventing censorship and protecting your digital identity. It uses an AES 256 bit encryption and one of the most secure encryption algorithms. Their protection is backed up by a strict no-logs policy which means you are the only one who knows your internet activity. Hidester is also equipped with a kill switch for extra protection. Hidester is available in every habitable continent and gives you a reliable connection and sustainable speed. For those who may have the need it also allows for uploading and downloading torrents. If you want to support an underdog send your Bitcoins to Hidester and give them a try. 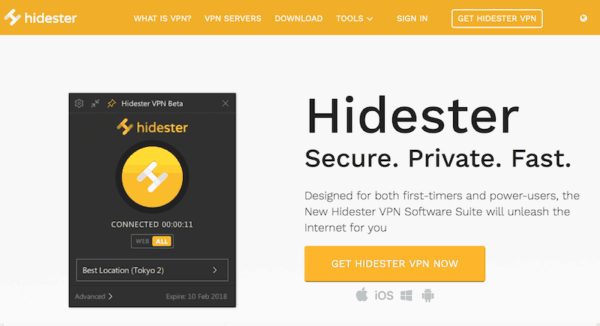 We recently reviewed Hidester VPN and you may want to read what we discovered. To be clear, Bitcoin is not a completely anonymous payment platform. If you send or receive Bitcoin that activity is recorded in the blockchain on the Bitcoin network. Even under the coverage of a VPN your blockchain is designed as a public ledger of transactions, this means your blockchain will track your wallet code. So by your using your wallet to send or receive funds hackers or government authorities can follow that code to your IP address where your anonymity would be compromised especially if your wallet is connected to your identity. To access complete anonymity with Bitcoin you need to create an alias. You know that wacky first email address you created as a kid in school, something like that. Only this time it’s important that it’s not connected to any real identity, otherwise, we’re back at square one. There are plenty of sites that offer free email accounts without the need to offer personal data. A quick google search for “burner email address” will give you your plenty options. After you create an account with the site of your choice you can use the burner email address to sign up for and access services like Bitcoin anonymously. Thereafter you are one step closer to not giving away your identity. You need to conceal your IP address, this is possible by using a VPN. You can even use the cryptocurrency to purchase your Bitcoin VPN, see our curated list above. Once your Bitcoin VPN is live, you will be using VPN providers servers and IP addresses which are constantly being rotated. In this way, your identity cannot be compromised. One last thing, if you want to maintain your warm snuggly blanket of privacy when sending and receiving with Bitcoin avoid purchases that reveal your identities like anything that would be delivered to your home or work address. In this day and age where government censorship and data hacking are household topics, the harmony of using a Bitcoin VPN sounds like music to our ears. 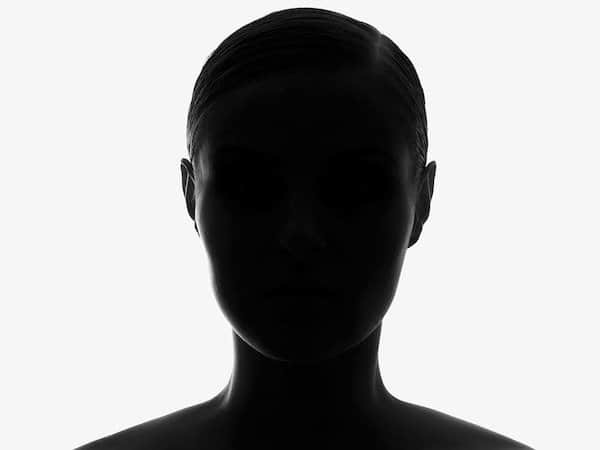 This service gives us the ability to reach complete anonymity and peace of mind. However, keep in mind that to use Bitcoin anonymously you will need to create an alias with no connection to your real-world data. Afterward protection of what your Bitcoin wallet sends and receives as well as your personal IP address is a must. You can accomplish this with the coverage of a VPN provider. Make sure that your provider is a Bitcoin VPN no-logs that doesn’t keep any information about you. if not, your VPN provider can compromise you by handing that logged data over to any government putting pressure on them.